More than 400 fleet and lease vehicles run through the seven lanes of Motley’s Richmond Auto Auction every Friday. The facility is easily access from I-95 and serves the Mid-Atlantic region of the U.S. All vehicles run in all lanes are also run on Simulcast. 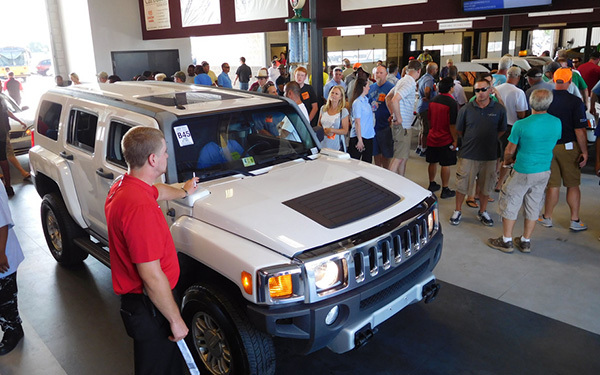 Auction services include a full service body shop, mechanic shop, reconditioning facility, and post-sale inspections. Floor planning is available. Then auction also hosts a GSA sale every third Friday of the month.